Wah Wah 45s return to the 12” format to bring you 3 incredible re-works from French disco don The Reflex, for our very own legendary Canadian/Haitian keyboard wiz Henri-Pierre Noel. “Funky Spider Dance” is a percussion heavy bomb filled to the brim with Henri’s soaring piano licks and infectious female vocal hooks. The Reflex has taken what was already a sure-fire club favorite, and created something of a dance floor destroyer. His rework of “A Fifth of Beethoven” takes its time to build into another heavy hitter. 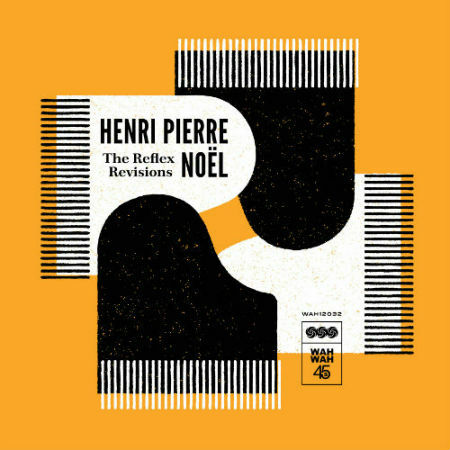 As the beats make way for Henri’s deft keyboard flourishes, the recognition of this cover of the Walter Murphy classic (taken from the Saturday Night Fever soundtrack) begins to dawn – and as it does, it’s clear that once again the dream team of Henri-Pierre and The Reflex have worked their magic! Last, but certainly not least, The Reflex’s Revision of “Back Home… Sweet Home” is a modern Island Funk masterpiece with organ and tropical guitar riffs making way for sunny brass stabs all underpinned by foot friendly beats. The original versions of “Funky Spider Dance” and “Back Home… Sweet Home” can be found on Henri’s “One More Step” LP, and his take of “A Fifth of Beethoven” was recently available on 7-inches of wax – all on Wah Wah 45s of course. “The Reflex Revisions” puts all these remixes together on vinyl, in fact anywhere, for the very first time, and the digital download includes 1 extra remix! Buy it HERE.